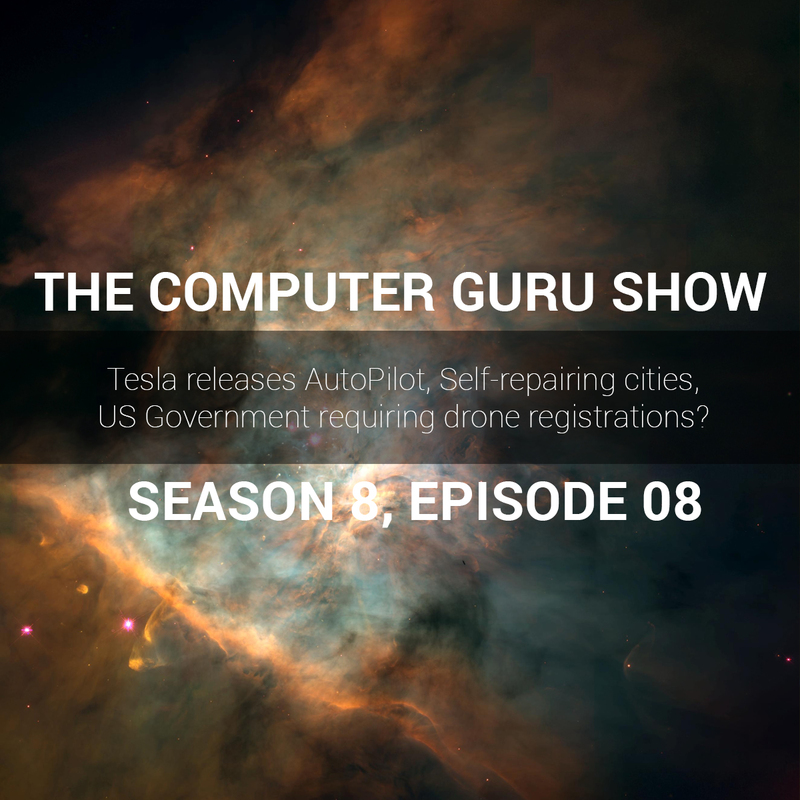 Podcast S8E08 – Tesla releases AutoPilot, Self-repairing cities, US Government requiring drone registration? Tesla releases AutoPilot, Self-repairing cities, US Government requiring drone registration? Mike and Tara discuss all manner of tech news, including the new self-driving Tesla update, cities of the future which could employ drone armies to repair themselves automatically, and a potential law the US is considering which would require you to register your drone. The Guru also takes your tech questions and concerns!